Thanks to a small manufacturing centre in Ontario, Calgary is no longer the Canadian city with the highest unemployment rate — Peterborough, Ont., now holds that title, with a jobless rate of 9.6 per cent. 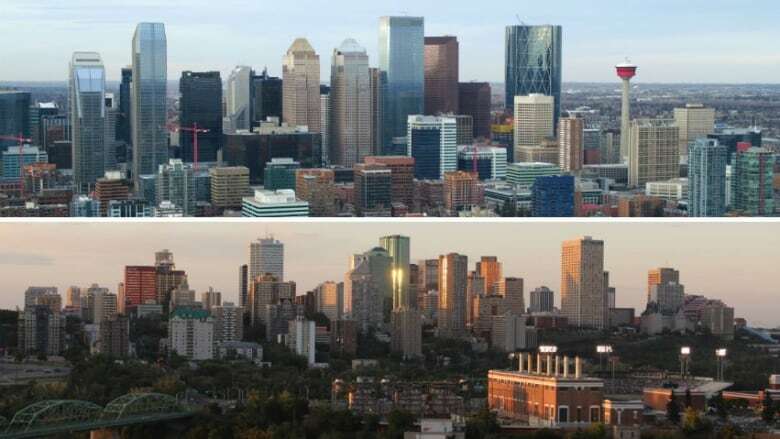 Calgary and Edmonton are tied for second place, with unemployment rates of 8.5 per cent in July, according to Statistics Canada. Thanks to a small manufacturing centre in Ontario, Calgary is no longer the Canadian city with the highest unemployment rate. Peterborough, Ont., now holds that title, with a jobless rate of 9.6 per cent. Calgary and Edmonton are tied for second place, with unemployment rates of 8.5 per cent in July. Alberta's overall unemployment rate jumped slightly in July, but the longer-term trend toward economic recovery is continuing, with 35,000 Albertans finding work since this time last year, mostly in the natural resources sector. Statistics Canada figures released Friday show Alberta's unemployment rate ticked up from 7.4 per cent to 7.8 per cent from June to July as 14,000 jobs were lost. But year over year, the employment rate in Alberta rose 1.5 per cent, the agency said. Calgary's jobless rate peaked at 10.2 per cent last November, while Edmonton's current rate is the highest it's been during the economic downturn. Statistics Canada uses three-month rolling averages for cities because the sample sizes are smaller and margins of error are larger for city-level data. In July 2014, Calgary's jobless rate was 5.0 per cent and Edmonton's was 5.4 per cent. Nationally, the unemployment rate has been trending downward for the past several months, hitting 6.3 per cent in July, the lowest it's been since October 2008. Canada's economy added 11,000 jobs last month, and more than 387,000 jobs in the past 12 months — the strongest 12-month figure in a decade. Peterborough, with a metropolitan area population of 124,000, is the smallest of the 33 cites included in the monthly StatsCan analysis. Located 125 kilometres northeast of Toronto, the loss or gain of a few hundred jobs makes its unemployment rate fluctuate wildly. Last year, it consistently had the lowest unemployment rate, falling to as low as 3.2 per cent in April 2016.